New bird hides are avialable yet. We build the "Raptor hide" in the only place in Bulgaria where you have a unique chance to photograph all european vultures (Griffon vulture, Egyptian vulture and Black vulture) in one place also Golden eagle, wolf, fox, White-tiled eagle and Black kite. The location is very attractive with a stunning background with high rocks and forest on the opposite hill. Soon we wil publish detailed tour program for the upcoming photo tour. Another new bird photo hide is designed for water birds like a herons, waders, ibises and spoonbills. Located in a protected area with a shallow lake ideal for feeding herons and other water birds. It was in the evening of the 18th of August 2015 when we returned in the early evening from stork observations in the area around Dobritch. We came just in time to see how a small flock of migrating storks (around 20 individuals) had to come down very rapidly due a fast approaching thunderstorm. They came down from considerable height almost like parachutes with half opened wings and hanging legs. The storks were just over the garden when the first strong wind gusts started and almost at the same time it massively started raining (for the first time after many weeks, as we heard later). The storks landed in the trees, including the dead one with the roller nestbox and on the towerhide. However, the wind was too strong and they could not stand stable there and flapped into other trees on the left. Only one individual fighted hard against the weather and stayed on the roof of the tower until it was too dark for us to see what happened. Later I saw one individual resting on one of the street lamps, the others were obviously more in the backyard area. The storks left the place very early next morning, we could not find them again. This is rather unusal, normally the morning start of migrating storks is rather relaxed and they stay close to the night roosts before thermals start to carry them on. A wonderful first photography week of May. Much bird activity of different species. 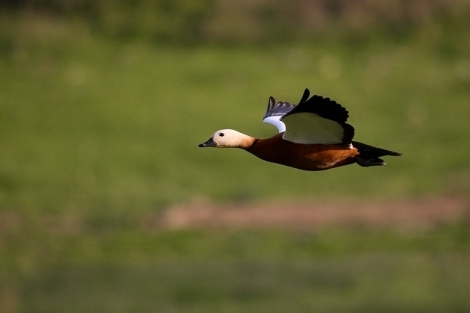 Polish photographers Adam and Greg visited all photo hides near the Cottage in suha reka area (NE Bulgaria). In the Greg's target bird list were of-course Golden oriole and European roller. Fortunately we were able to photograph them just in the second day of the photo trip. So the whole week was a great adventure with a lot of interesting and rare birds, drinking home made grape "Rakia" and great jokes. 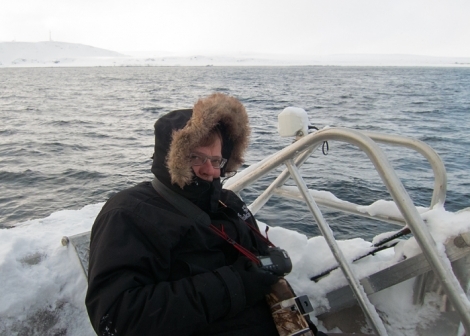 The second half of May will visit us Dutch photographer Rene de Heer. He is the founder of one of the first Dutch Nature Photography Societies, which is still going strong today. Rene’s work has been widely published in magazines and calendars and he has participated in several successful exhibitions.His photography has taken him all over the world; the USA, Canada, India and Namibia, to name a few of the places he has visited. His favorite region is Scandinavia, especially in the winter. After all theese exotic locations finaly he will comes to Bulgaria. Firstly we will visit the Eastern Rhodopes photographing Griffon and Egyptian vultures, after then will move to Northeast Bulgaria waiting for European rollers, Bee-eaters, woodpeckers etc. 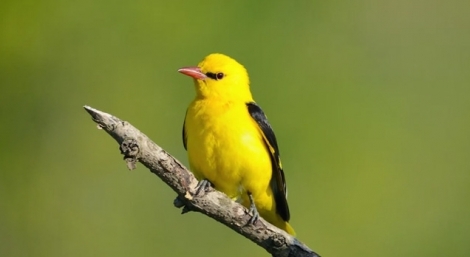 New video of Golden oriole capturen from our custummer and friend Frank Schulkes / http://birdscaptured.com. The first shots are taken from 9m. photo tower hide in May 2014, the last shots are from Nessebar (September), Bulgaria in 2014.